Buying a house is the largest, single, financial decision you will make in your lifetime. There are many things to think about when you’re going through the purchase process. Even though it’s exciting, buying a house can be stressful – so stressful that a poll rated a new house purchase more stressful than bankruptcy, divorce or bereavement. And if the real estate market is hot – it’s difficult to complete a thorough due diligence process to make sure that you are purchasing the right home. 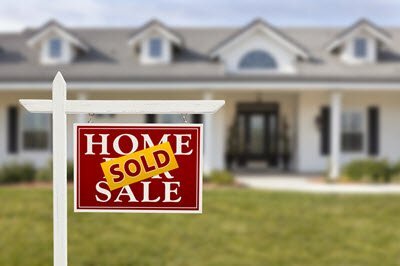 To help make buying your next home a success, we’ve put together some considerations for home buying. We’ve got tips on insurance protection for you home, other ways to make your purchase a success, insights into how your rates are determined and how you can save. What Kind Of Insurance Do You Need When Buying A New House? Did you know that by law you don’t have to have home insurance? Although you’re not legally required to have home insurance coverage, mortgage lenders want insurance to protect their investment. Even if you own your home (no loan from a bank on it), your home may be your biggest source of future wealth – so you want to protect it. And home insurance is one important way to do it. Your broker looks at your house purchase from the “risk” perspective – how likely (or how often) is your house to be damaged and how much damage might be incurred. Your broker has information that may not be available to you and can help you assess the potential for problems. Don't make the mistake of assuming that your coverage limits will automatically adjust to your home's rising or falling market price. Fact is, replacement value, or the cost of labor and materials required to rebuild, is what you need to consider. Age : How old is the house? Is it a brand new build or an older home? Size or Area : What is the square footage of the house? Roofing : What type of roofing does it have and how old is it? Heating : How is the house heated and how old is the system? Stoves And Fireplaces : How many fireplaces or woodstoves does the house have? Are they wood buring or gas? Unique House Features : Does the house have unique features such as a pool, hot tub, custom built appliances or other other features? Distance To Fire Hydrant : How far is the closest fire hydrant? What is the distance to the nearest responding fire department (municipal or volunteer)? Additional Structures : Are there any other structures on the property such as garages, sheds or barns? Once your insurance provider has sent through an insurance policy, you need to review the document carefully. Make sure you know exactly what your policy will cover and also who is covered. If you have questions, make sure that you speak with your broker. Don’t leave any questions unanswered. Title Insurance is coverage that protects your ownership of a property. You purchase Title Insurance when you purchase your home – usually paying a one-time premium. Title Insurance protects you from any flaws or mistakes on your ownership; mistakes that your lawyer may make; protect you from paying taxes, utilities or mortgage payments that a previous owner may have not paid (called liens). There are other ways you can make sure your home purchase is a good investment. Some of these factors influence your home insurance while others are sound advice to insure that you’re making a wise investment. It’s your home after all, and one important way that you can build financial stability. Invest In A Home Inspection : A home inspection can uncover a lot of potential problems that you cannot see. A home inspector will assess the house for damage, potential repairs and possible problems (leakages). By having a home inspection, you can uncover some glaring problems you might be faced with that you didn’t recognize before. Share Your Home Inspection With Your Broker : Your home inspection results will help a broker assess possible risks to your home. A broker may have information that will give you a clearer picture on the home’s “state of repair” and whether its issues are related to its location. Confirm Your Home’s Location With Local Municipality : This is important because your house may be located in a flood plain. You can still get water damage coverage but you will need to get extensions or riders on your policy to insure that you’re covered. Check For Alarm And Security Systems : If your home already has these installed, you are one step closer to better protection. Smoke detectors and security systems may also make you eligible for discounts on your home insurance policy. Are You Going To Renovate : If you’re buying an older home, you are probably already thinking about renovations. You’ll increase the value of your home. Don’t forget to mention the renovations to your insurance provider – to make sure that you are adequately covered. Assess Special Or Unique Features Of The House : Does the house come with proper protection for these unique features? For example, if you have a pool, do you have required fencing. If not, you’ll need to put one up. Buying a house is making a big investment in your future. You have a lot to take into account. Use this list as a way to ensure that you protect yourself from problems down the road. <<Will Self-Driving Cars Lower Car Insurance Rates?